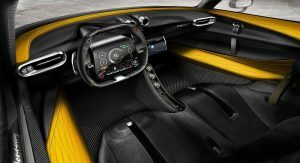 Shortly after Hennessey premiered the Venom F5 at the SEMA Show in Las Vegas, the Texas tuner has released the first images of the hypercar’s interior. 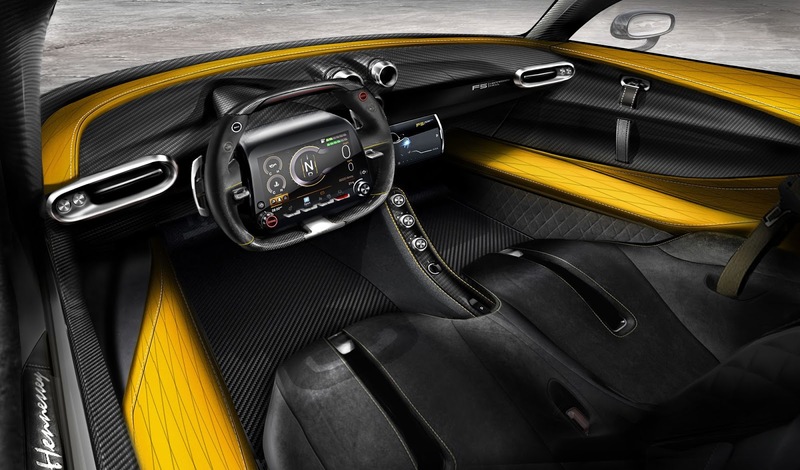 Like a recent teaser image indicated, the cabin of the Venom F5 is dominated by carbon fiber and looks to be a serious improvement over the Venom GT in terms of overall quality. Unsurprisingly, the cabin is quite narrow and consists of two bucket seats which appear to be fixed to the floor. 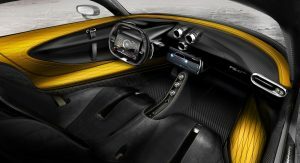 Elsewhere, the Venom F5 includes a narrow, carbon fiber transmission tunnel that runs up to a large touchscreen housing the car’s infotainment features. 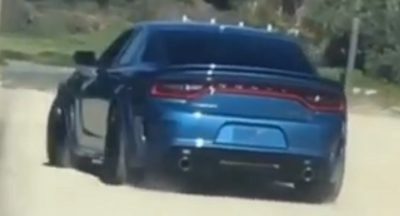 Elsewhere, we can see a trio of air vents arranged in a similar format to the tailpipes. Two different steering wheel and gauge clusters will be offered to customers. The first sees the fitment of a carbon wheel with a flat bottom and top. 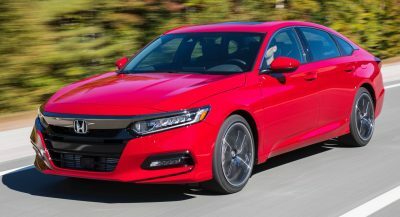 It is then joined by a digital gauge cluster. Alternatively, Hennessey will also offer a steering wheel that houses its very own cluster, somewhat similar to the Aston Martin Valkyrie. 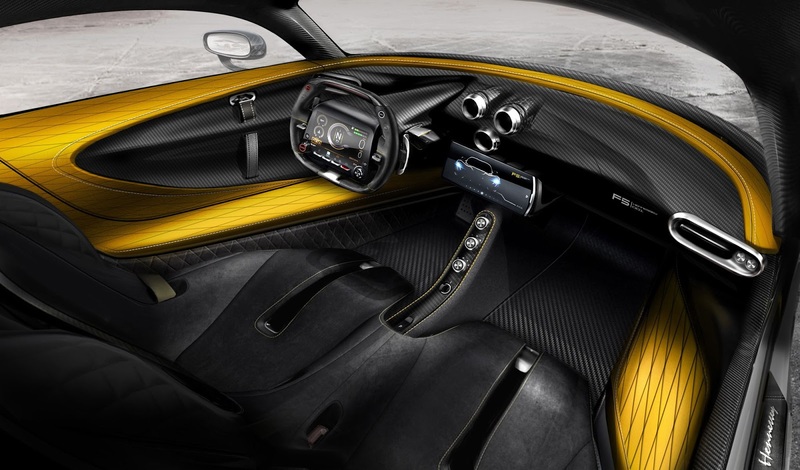 As cool as the interior of the Venom F5 is, it is far from the vehicle’s standout feature. Instead, it is the twin-turbocharged V8 engine with 1,600 hp that promises to make the Venom F5 unlike any car before it, potentially capable of accelerating to over 300 mph (482 km/h). That being said it’s still pretty cool. That does look pretty damn businesslike. your right, going to be interesting. 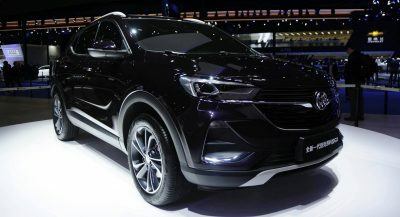 The Venom shouldn’t be compared to those cars, it’s not in the same league as far as technology goes. Plus this interior is only a render, which tells me that haven’t even built a production interior yet and fit/finish is a complete unknown. Ironically those reasons what you stated are the reasons I believe that it should complete against them. How much of that will be carried into the real car? Now THAT is what a 300mph car’s interior should look like! Like a Lotus Elise but with more carbonfibre? The steering wheel is nothing special in this class either. So if you remove the steering wheel out of the equation, it looks pretty ordinary. In my opinion it is a pretty unoriginal looking interior. If I tried to imagine what the interior of a 300MPH car looked like, it wouldn’t be a photoshopped Elise. 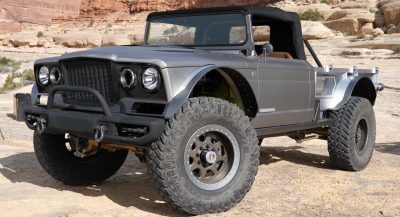 is this better than tesla roadster? Not feeling the gauge cluster on the wheel but I like the interior besides that.